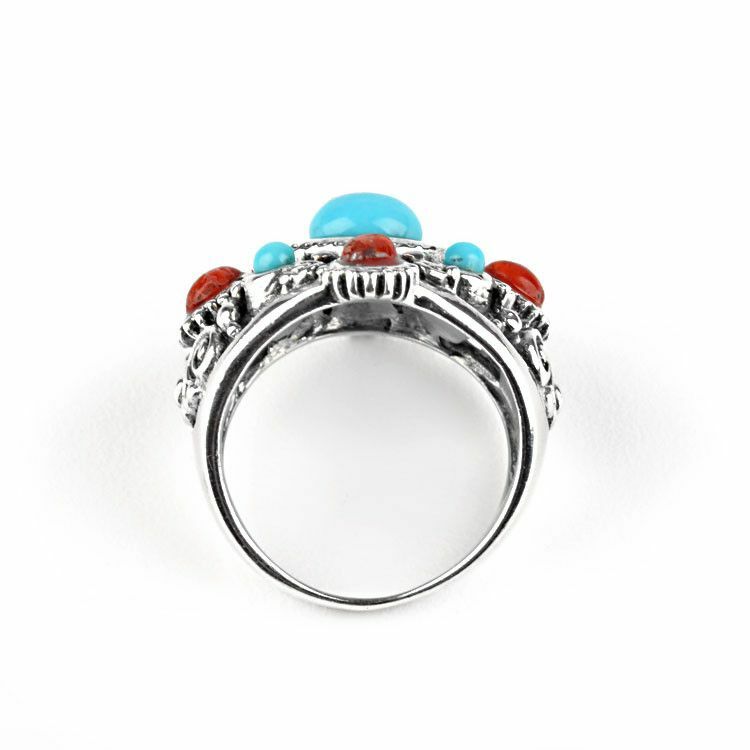 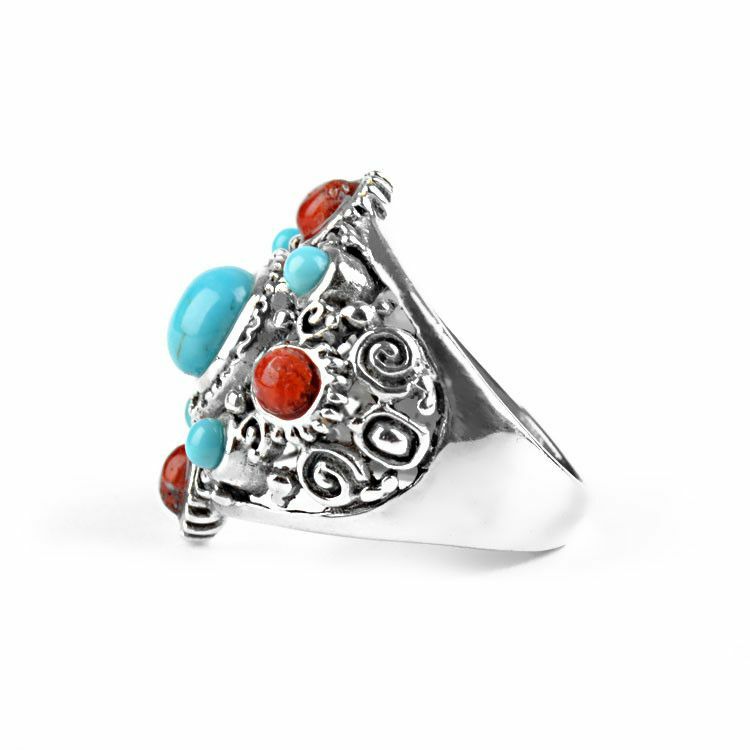 This very beautiful size 7 ring combines natural turquoise and natural coral gemstone beads situated in a unique and interesting design of sterling silver swirls. 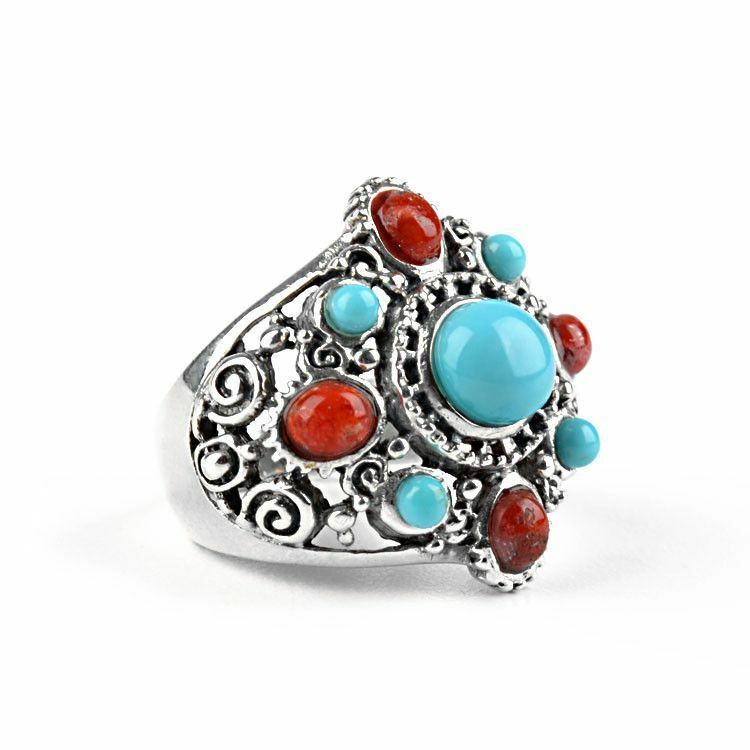 The center turquoise stone, the largest of them all, is about 1/4" in diameter. 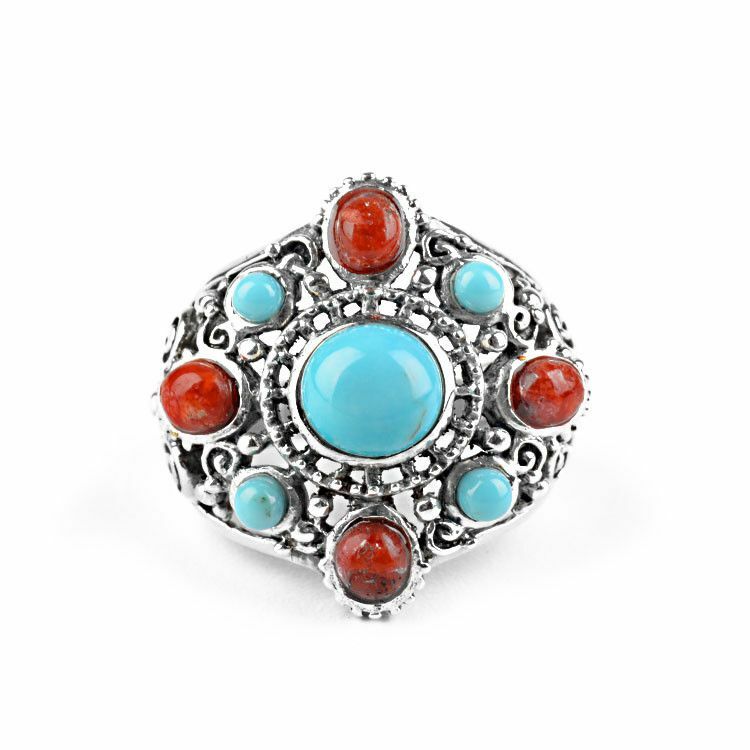 The entire face of the ring is approximately 1" x 1" in size. 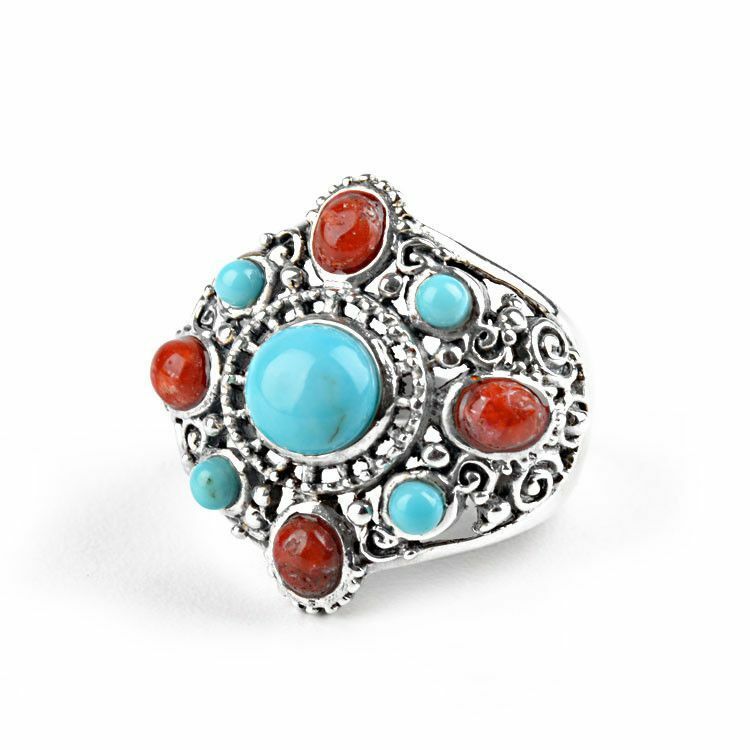 This fashionable ring is also quite comfortable. 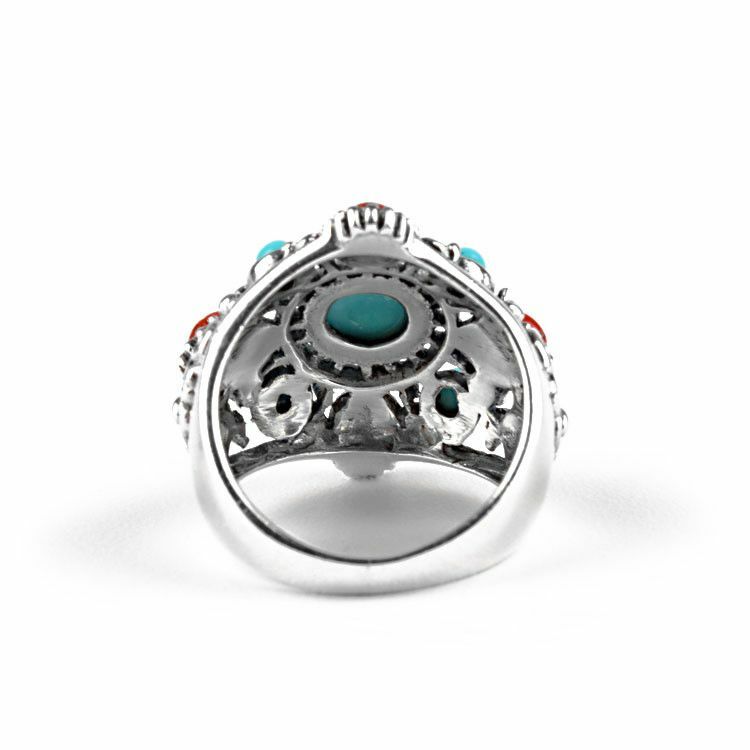 Face of ring is about 1" x 1"